FACES Canada the leading cosmetic brand known for its colorful and innovative range of products announces its entry the skin care domain by launching range of three essential daily skin care products. An absolute must have for every woman’s basic skin care needs, the new range is all set to redefine your daily skin care regime. Make everyday more beautiful with our daily care range. Specially created for the Indian skin type, the range includes FACES HYDRO MAKE UP REMOVER, FACES HYDRO CLEANSER and FACES HYDRO TONER. Enriched with the goodness of organic extracts and antioxidants the new products hydrates, purifies and makes your skin supple for the youthful look. 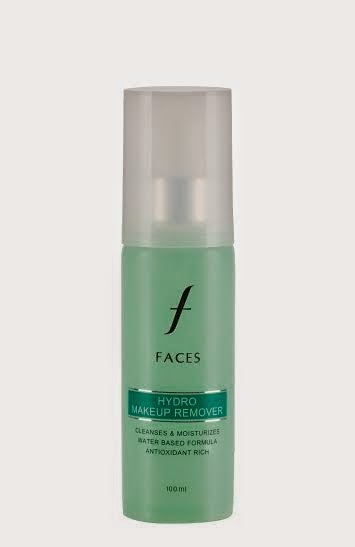 Remove all traces of makeup, dirt and oil with FACES HYDRO MAKE UP REMOVER, refresh and brighten with our alcohol-free FACES HYDRO TONER and FACES HYDRO CLEANSER deeply cleanses the pores whilst antioxidants protect and smooth the skin. Cleanse and tone, twice a day, every day for healthy-looking, beautiful skin. Wonder works : This gentle, water based formula works quickly and gently removes face and other makeup. It is an excellent antioxidant agent which prevents skin from free radicals& improves tone to give you a perfectly cleansed & rejuvenated face. Immediate Impact : It sweeps away without leaving any residue—so you can reapply makeup immediately after use. How To Use : Sweep over with cotton pad. Wait a few seconds, then wipe gently downward. Follow with your Faces Hydro Cleanser and Hydro Toner for perfectly cleansed face. Beauty Tip: Never go to bed with makeup on. Clean skin is healthy skin. Benefits : Works quickly, and makes your skin look super clean. Wonder works : This extremely hydrating formula cleanses skin and maintains its natural moisturizers. It is a deep cleanser that gently protects your skin while keeping it fresh, clear and radiant. Immediate Impact: - Organic ingredients not only eliminate impurities, but also help awaken a youthful glow. How to Use : Apply Hydro Cleanser with a cotton and massage it in your face and neck areas and wash off with water. 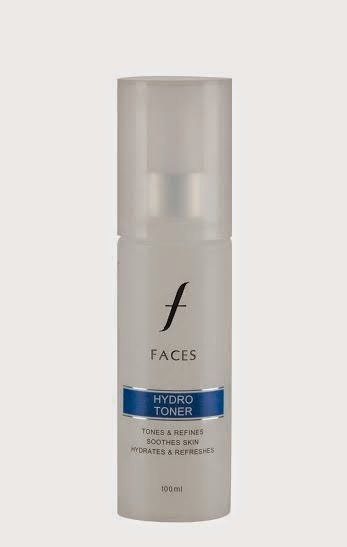 Follow with FACES Hydro Toner. Wonder works : This gentle and soothing toner hydrates the skin keeping it perfectly clean & soft. It tones the skin and refines pores for a clearer complexion. Immediate Impact: - Make your skin feel refreshed, clean and soft. 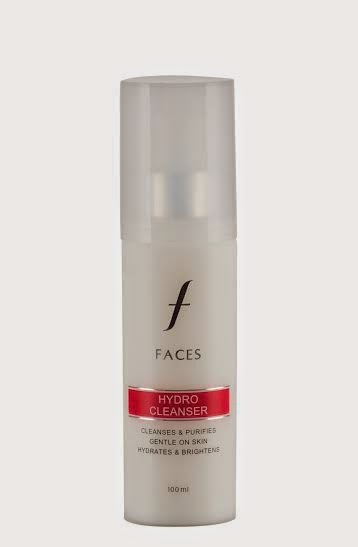 How To Use : After using FACES Hydro Cleanser, sweep Hydro Toner over with a cotton pad. Wait a few seconds, then wipe gently downward. Beauty Tip : Never go to bed with makeup on. Clean skin is healthy skin. Benefits : Leaves your skin smooth, supple and hydrated after each use. FACES has already been making a splash across most major cities in India, with 26 signature stores in operation. In fact the bang-on-trend, faces color cosmetics range is also available in over 450 SIS touch points where consumers can experience the product in an aided environment. It has recently expanded its presence in select Shoppers Stop, Lifestyle, New U stores. The brand with a more than 40 year old heritage and expertise in the Color cosmetics business globally, has aggressively expanded the width of its product offering in India to over 1200 stunning products.